Resin & PE as applicable. Good scale finesse, and should enhance the kits they are used with. Very well produced aircraft detail accessories and replacement parts. Brengun is a Czech brand linked to the Hauler brand label. The name Brengun Models is singularly appropriate as they are based in Brno where the superb Bren light machine gun originated from. They offer a number of kits, detail sets, accessories and conversions in 1/144, 1/72 and 1/48 scales. Some are very useful additions for existing kits and others are unusual full kits in themselves such as a Freya radar station. 1/144 seems to be their most popular scale in terms release numbers at this stage. I grouped the sets reviewed here on the basis that they are all intended for 1/144 aircraft kits. Each set comes in a cellophane bag stapled to a card header, and the bombs and A-4 cockpit set come with instructions (the others obviously don’t require any). German SC 500 Bombs (BRL144021). Four 500 kg resin bombs with really delicate PE fins and even fin braces. Ideal for any suitable 1/144 WW2 Luftwaffe bomber subject. German 300l Drop Tanks (BRL1440212. 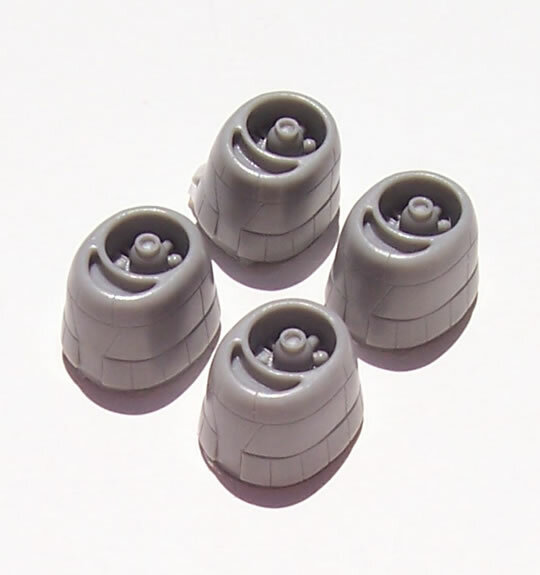 Four resin drop tanks, Ideal for 1/144 applicable WW2 Luftwaffe subjects. B-29 Engines (BRL144026). Four replacement cowls with engine faces moulded in place. I’m aware of the Fujimi and Crown/Minicraft/Academy 1/144 scale B-29 kits. 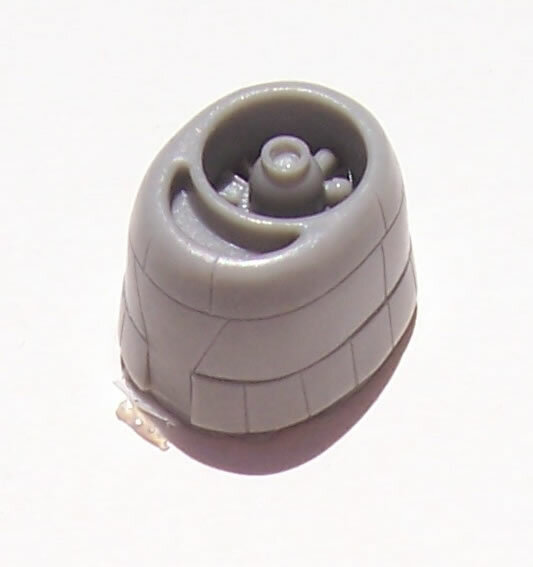 The Fujimi kit has engines moulded in place, whereas the Crown/Minicraft/Academy kit has separate engines. 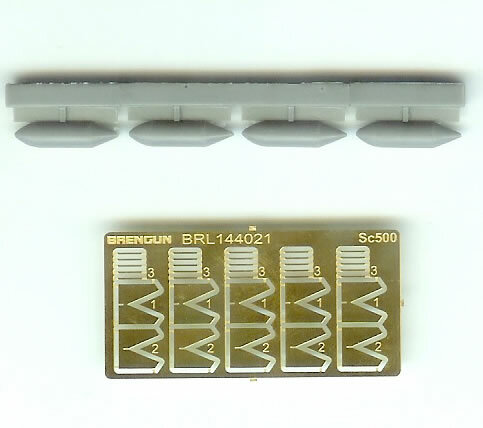 I don’t know if this set is intended for one or other kit specifically, but in both cases Brengun’s replacement items offer better engine detail and deeper air intakes. 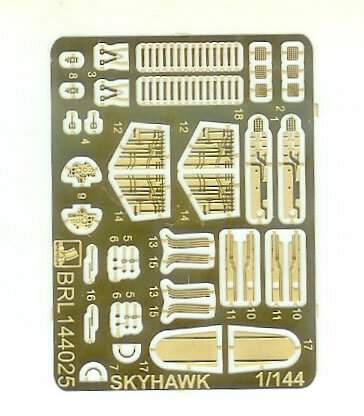 A-4E Skyhawk Detail Set (BRL144027). Intended for the Dragon kit, this set provides additional detail for the cockpit with an instrument panel, control column and seat belts, along with various other items. 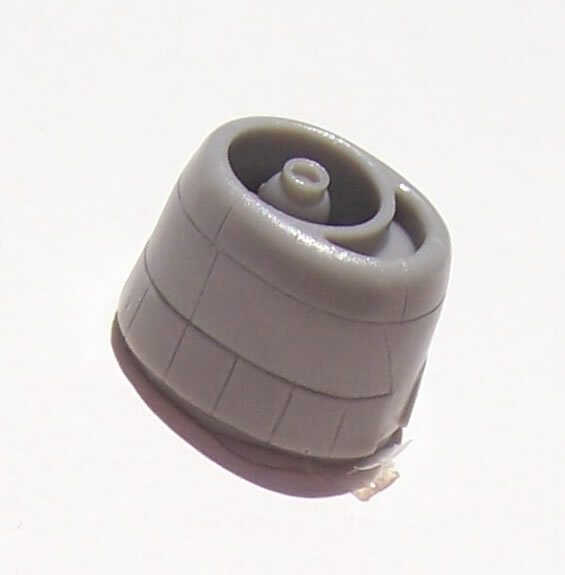 Externally it provides inserts for the wheel wells and even weapons pylons sway-braces. This set will undoubtedly refine the Dragon kit, but I can’t help but feel that a vac-from canopy to really display all that’s offered for the cockpit would have been a good idea too. Where applicable the resin parts are very cleanly cast and appear faultless, and the PE is also to a very high standard. 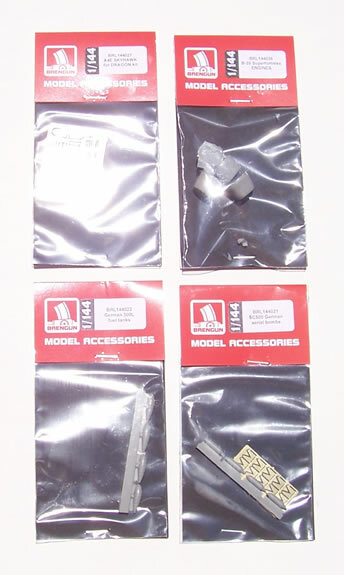 These are very well produced accessories and replacement items that are sure to appeal to 1/144 aircraft builders.